Well, I couldn’t agree anymore. With that spirit in mind, this month I have a diverse array of plugins for your delectation. I’m confident that you’ll find something of interest within the list below, and perhaps even something that is perfect for your WordPress website. With everything from quizzes to social media to crowdfunding and more covered, you’d be crazy not to take a look. Enjoy! Instagram seems to be getting more and more popular, which of course leads to more WordPress plugins. However, Alpine PhotoTile is worth a mention due to its simple nature and handy feature set. As you would expect, the plugin enables you to display Instagram photos within your WordPress blog — more specifically, via a sidebar widget or in a post or page using a shortcode. You can select what photos to display by user or tag. There’s also a caching feature which should help with load times. For reasons beyond my understanding, WordPress only allows profiles to use Gravatar avatars. WP User Avatar resolves that issue by allowing you to set custom avatars per user and also a custom default avatar (if a use doesn’t have one). This is especially useful for multi-author blogs where your writers may not have a Gravatar account. What is easier — telling them to set up a Gravatar account linked to their email address, or just asking them to upload an image to the blog? In reality this feature should be included within the WordPress core, but in the meantime WP User Avatar does a fine job. 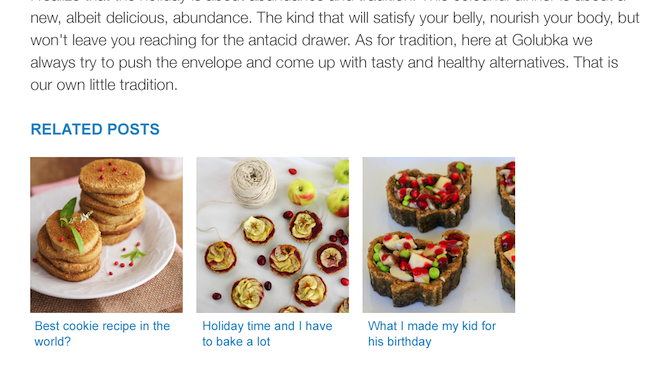 When it comes to blogging, interactivity is the name of the game. And what better way to interact with your readers than offer them a quiz? With an impressive 31 five star ratings, WP Pro Quiz is an excellent option if you want to test your readers’ knowledge (or get feedback from them). It is clear that this plugin has been conscientiously designed, which is a good thing given that plugins of this nature are not exactly common. As far as I am aware, this is the solution when it comes to creating quizzes on your WordPress blog. Related posts plugins are a dime a dozen, but I do like to throw the occasional new offering in the mix to keep you on your toes. Having said that, Related Posts by Zemanta isn’t just here to pad out the list — it is an excellent option for displaying related posts in its own right. …but the real beauty of this plugin is on the backend. It comes packaged with realtime statistics such as page views and clicks, and of course features Zemanta’s proprietary matching algorithms which claim to boost page views by 10%. Just like related posts plugins, there are more social media plugins out there than I can count. However, Social Media Feather is definitely worth a mention due to its stripped down and simple approach to social media sharing. Complicated features are thrown out the window and this plugin leaves you with just barebones functionality. That may sound like a bad thing but I am a huge fan of lightweight plugins and think that the developers have done a great job here. With twenty-seven five star ratings, they’re obviously doing something right. Adding watermarks to images on your blog can be an effective way of protecting them from copyright infringement. This is especially important if your blog’s value is defined by your images — for instance if you are a photographer or artist. 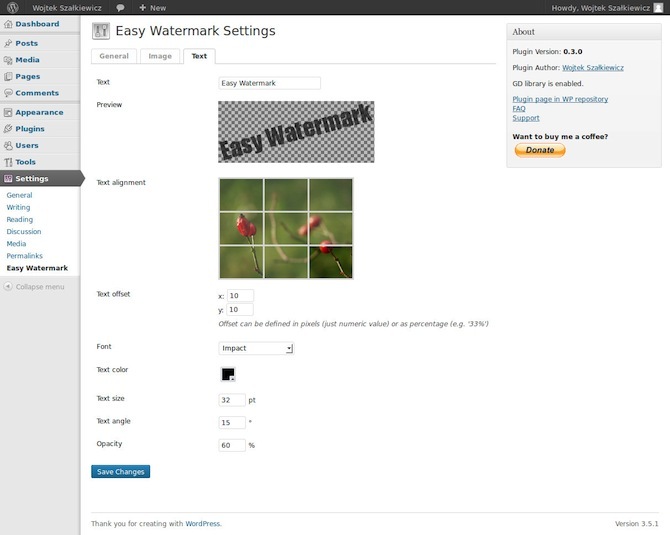 Furthermore, you can use the plugin to apply watermarks to all existing images on your blog. 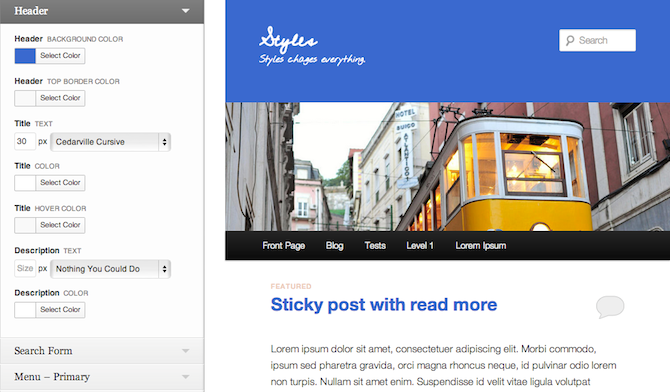 This plugin takes the theme customizer feature and puts it on steroids. It is an awesome option for WordPress beginners at it makes customizing multiple aspects of the default themes extremely simple. You can change everything from the font (including Google fonts) to borders and backgrounds, all with an instant preview that you can approve or discard. Whether or not to open external links in new tabs is a debate that will never be resolved, but if you do like to do it then WP External Links is worth considering. Not only does it automatically open external links in new tabs, it also enables you to “nofollow” external links, add icons to them, and many other features. Although it may seem on the surface that this plugin offers only basic functionality, there is a lot more to it than meets the eye. If you are keen to keep visitors on your site then you should check out the features that WP External Links has to offer. 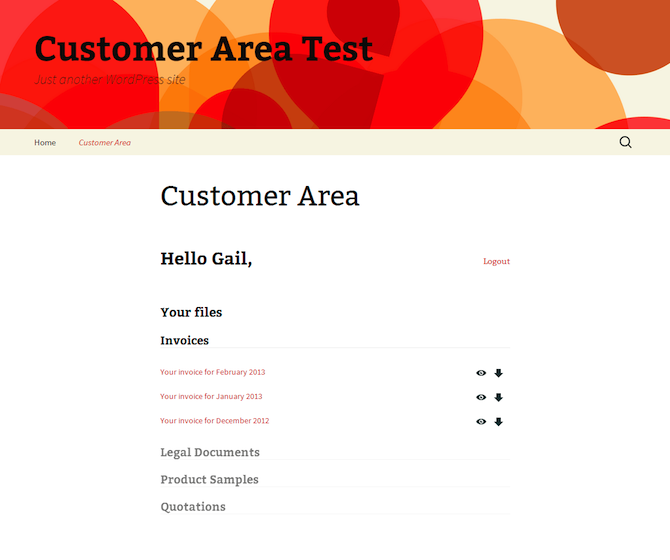 If you tend to share personal or confidential information with customers and/or clients then Customer Area could make your life a lot easier. This plugin enables you to create pages on your WordPress website where logged in visitors can access files securely. But as you can see from the above screenshot, you could also use it to share quotations, product samples, legal documents, and more. In effect, you can create a website that serves as a central online repository for your business documentation. Very cool. 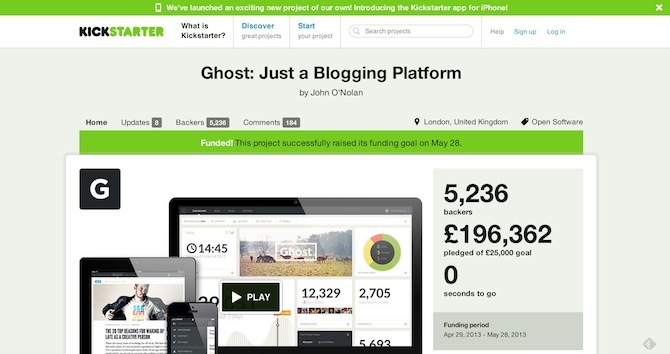 Unless you’ve been hiding under a rock for the past several months, you have probably heard of the Kickstarter platform — the crowdfunding platform that has been used to launch projects such as Ghost — an up-and-coming blogging platform to rival WordPress. Well, the Crowdfunding plugin seeks to emulate the Kickstarter model but enables you to make it your own. It integrates with the superb Easy Digital Downloads plugin seamlessly and gives you a way to seek financial support for your project direct from your own website. I have had good success with the “Image Watermark” plug-in. You can automatically watermark by image size (for example, full size but not thumbnail size), adjust watermark (size, transparency, location), watermark all images automatically upon upload or manually (bulk or individually) after the fact. Pretty handy. Thanks for the article. I’m going to give the “Styles” a try. Nice list of plugins. I really like the “style” one and will be checking that out for a client. buddy your top list rocks. The list is very useful.The plugins you suggested in the list are helpful for me. How about wordpress admin themes? Watermark plugin seems very insteresting to be more productive, instead of editing one by one your images in photoshop to get the watermark. Zemanta is looking good. Right now I am satisfied with Outbrain and there is no point to change the same. That Instagram plugin caught my attention since I use it daily. Instagram is growing in popularity and will need to expand my brand onto there, starting with the right plugins. All of the other plugins are looking great as well, for this month of June. Sure! My clients demand it actually. I tried some Instagram plugins and in my opinion,works best for me is Instagram Photo & Video Gallery WordPress. Very helpful list, I have downloaded three that are needed in my site. Great post. There’s a couple in there I’m going to try out, especially WP Pro Quiz. I’m curious which of the SEO plugins you would recommend as well. Awesome list of WordPress plugin you have shared with us. 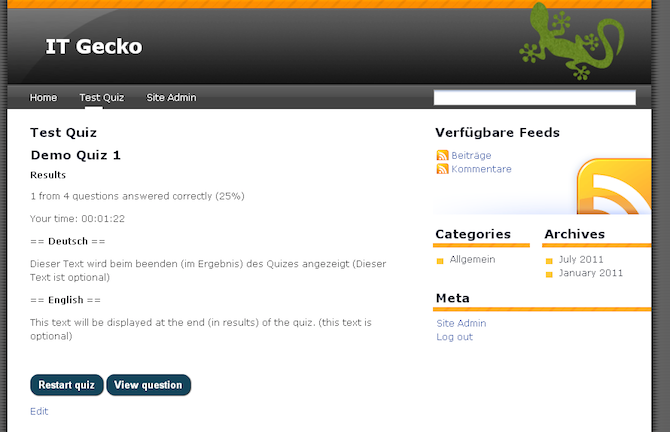 I liked WP External link and WP Pro Quiz Plugins. What do you think about Flare social sharing plugin? I didn´t know about the crowd funding… Very interesting! Great list. WordPress has become a popular target for hackers due to it’s increasing popularity for building and managing small business websites. It’s very difficult to restore your site if it get’s shut down as a result of security flaws. Besides installing security plugins there are other “must have” plugins to make your site easier to manage. WP External Links currently using thanks for this brilliant plugins..
Nice list, although I must say that the major down side to social media feather is that I cannot add other social networks other than the default ones listed. Looks interesting; I’ll check it out! Social Media Feather is nice, but this free version has a very messy settings screen with huge and distracting ads. …still in the hunt for the best social sharing plugin. Ive seen the crowd funding theme / plugin before… very kickstarter esque.